TAKAMATSU, KAGAWA PREF. - This year’s crop of square watermelons is ready. Shipments began Wednesday from the city of Zentsuji in Kagawa Prefecture. The fruits are about 18 centimeters square and are inedible because they are harvested unripe. They are trained into shape by a plastic brace that restricts the fruit’s growth. 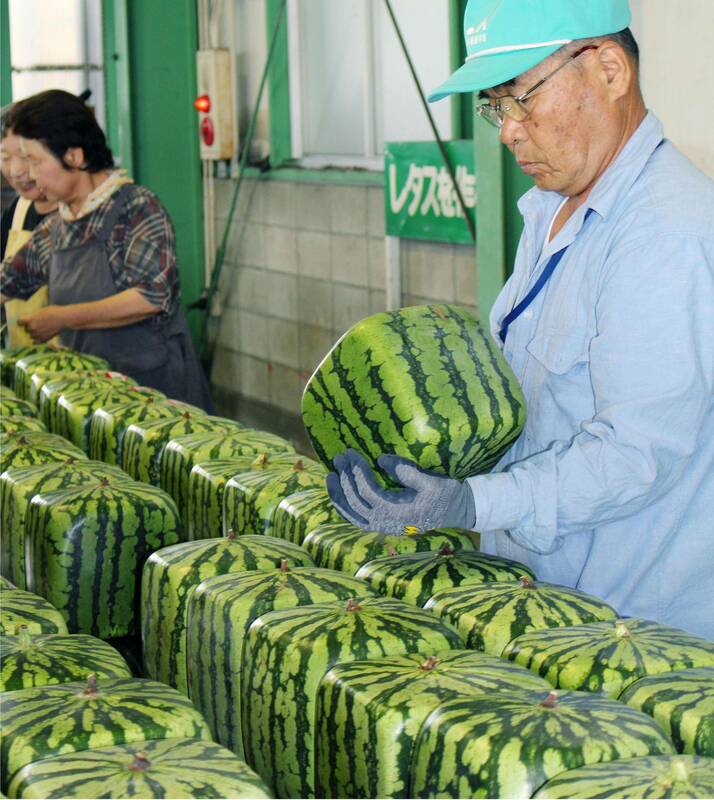 Priced at about ¥10,000 each at department stores and greengrocers, the watermelons are popular as novelty ornaments. Foreign markets, too, are buying in. Orders have been received from Canada for more than 100 square watermelons this year. 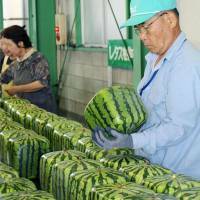 The first square watermelons were produced about 40 years ago. This year, about 400 fruits are expected to be produced by six farmers and distributed by mid-July.